Each year grade 9 students participate in the annual Freshman Community Service Day as an introduction to community service. 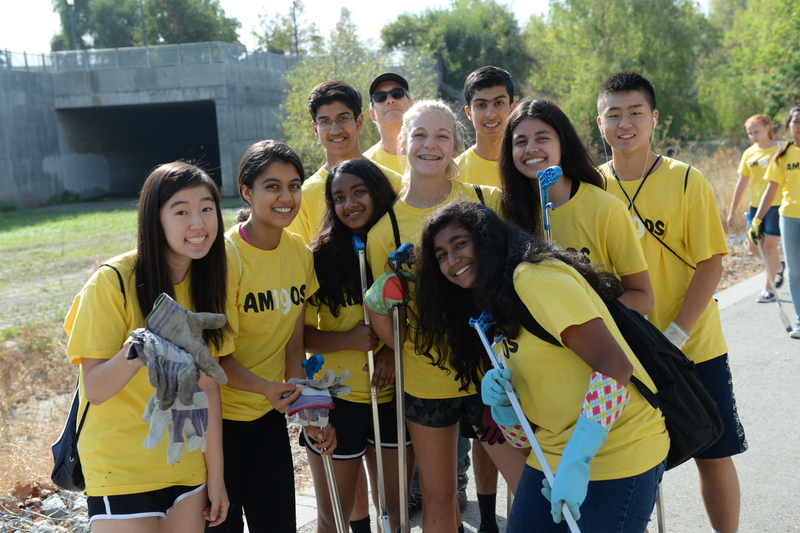 This year marked the first time that the entire class performed its initial service day at one location: the Guadalupe River Park Conservancy in San Jose. Some 196 freshman participated in the service learning project, which included a trail cleanup and nature walk, as well as an educational component. The outing kicked off what promises to be a meaningful year of local outreach work for the ninth graders. Throughout the school year, the students will have the opportunity to fulfill a variety community service jobs at a number of organizations. The Guadalupe River Park Conservancy provides community leadership for the development and active use of the Guadalupe River Park & Gardens through education, advocacy and stewardship programs. According to conservancy representatives, who welcomed the visit from the upper school, the learning portion of the student’s day included activities at three stations: “macroinvertebrates, dichotomous key for tree identification and a bio blitz.” The service experience, which immediately followed, focused on litter pick up.